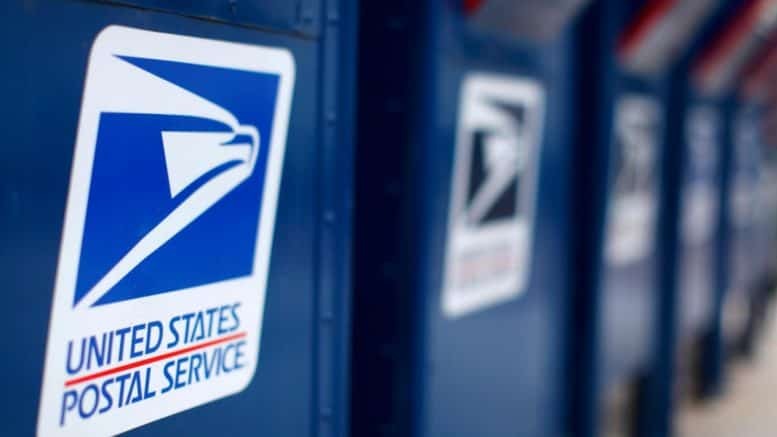 April 9, 2019 — BOSTON (WHDH) – In the interest of safety and security, the United States Postal Service says it will be sealing all blue collection mailboxes along the route of the Boston Marathon. The mailboxes will be pinned shut at the time of the last collection of mail on Friday, April 12, and reopened on Wednesday, April 17, according to the postal service. Hopkinton: 18 Main St. and 65 Grove St.
Ashland: 390 Union St. and 200 Homer St.
Framingham: 88 and 818 Waverly St. and 30 Hollis St.
Natick: 2 Mill St., 5, 150 and 209 West Central St., 10, 34 and 49 Main St., 15 Common St., 13 East Central St. and 33 Newfield Dr.
Wellesley: 1, 8, 21 and 40 Grove St., 35, 70 and 106 Central St., 1, 31, 40, 124, 284, 336, 337, 366, 372, 386, 446, 485, 540, 573, 628 and 666 Washington St. and 431 Worcester St.
Newton: 491, 564, 638 and 1000 Commonwealth Ave., 385 and 561 Ward St., 1800 and 2344 Washington St. and 108 Fuller St. Chestnut Hill: 17, 140 and 176 Commonwealth Ave. and 25 Wachusett Rd. Brookline: 999, 1002, 1053, 1056, 1093, 1101, 1180, 1187, 1223, 1232, 1284, 1295, 1296, 1319, 1320, 1352, 1361, 1396, 1397, 1432, 1443, 1501, 1530, 1539, 1600, 1623, 1628, 1652, 1663, 1713, 1763, 1784, 1842 and 1853 Beacon St. and 333 and 360 Washington St.
Brighton: 1880, 1970, 1999, 2025 and 2060 Commonwealth Ave., 330 Chestnut Hill Ave., 1912, 2001 and 2002 Beacon St. and 129 Lake St.
Boston: 652, 677, 700, 829 and 880 Beacon St., 308, 311, 400 and 466 Commonwealth Ave., 60, 86 and 100 Massachusetts Ave., 300 Newbury St. and 344, 399, 443, 535, 607, 667*, 711, 745, 797, 885, 1044 and 1126 Boylston St. The mailbox at 667 Boylston St. will be temporarily removed and returned to service when the Boston Marathon finish line grandstands are taken down. For additional locations to deposit mail, click here.